alaTest has collected and analyzed 39 reviews of Technika 32F21B-FHD. The average rating for this product is 4.7/5, compared to an average rating of 4.6/5 for other products in the same category for all reviews. People really like the design and sound. The price and image quality also get good feedback. Reviews are divided on the durability, and some have doubts about the size. We analyzed user and expert ratings, product age and more factors. Compared to other products in the same category the Technika 32F21B-FHD is awarded an overall alaScore™ of 89/100 = Very good quality. Really good picture and sound quality. Brilliant product for the price. This is an excellent TV/DVD. The picture quality is great and the DVD playback is fantastic. It's also lightweight and very stylish. Purchased a few weeks ago and very good value product. I bought the TV 2 weeks ago online and collected in local store . It all went smoothly. This TV provides a lovely clear picture. It was easy to set up - though I had to buy an adapter to connect to the aerial socket. DVD is an added bonus. Great TV and fair price! I bought this TV for my kids as it has a DVD player in it also which is a bonus at an already fantastically priced item. 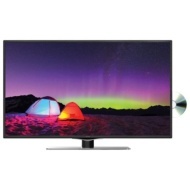 The TV has a great picture and is simple to set up and use, user friendly and very light weight, A steal at this price! Bought this for the caravan, great product, simple to set up, well worth the money.